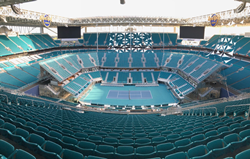 Hundreds Of Thousands Of Tennis Fans Will Converge On The Unique, First Of Its Kind Event, The Miami Open, As The Dolphins Home Field Is Transformed Into A 13,800 Seat Center Court. 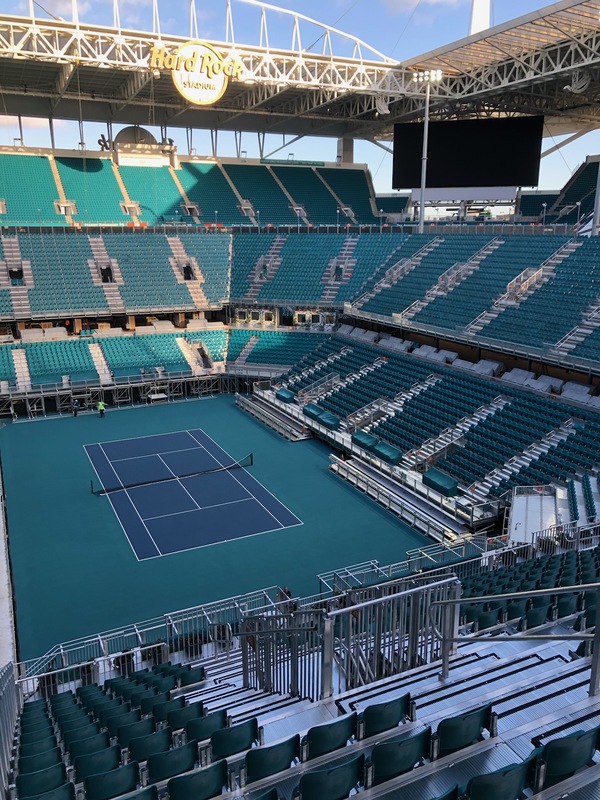 Seating Solutions, the best-in-class sports and entertainment customized seating company has been retained by Moss Construction to create a best-in-class, custom free-standing modular structure elevating the overall fan experience at the Miami Open tennis tournament. 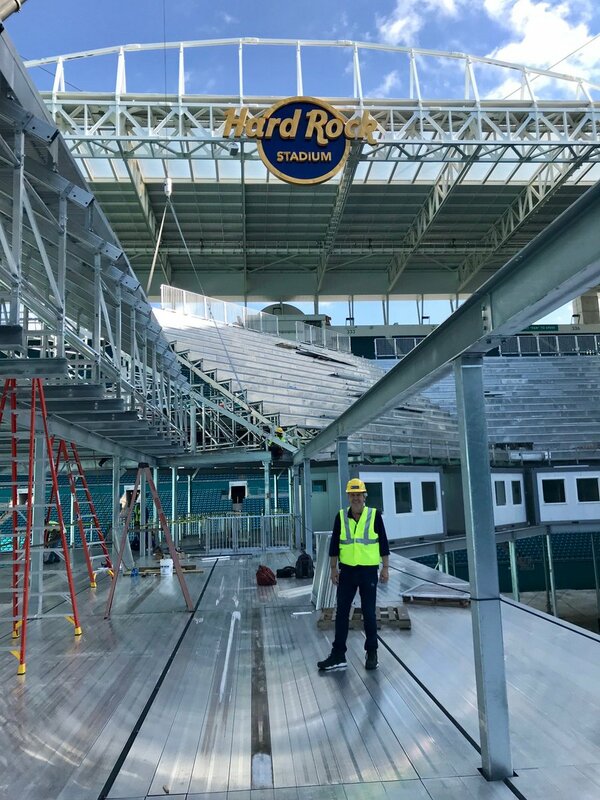 The “Modular Spectator Super Structure” referred to as the MS3 turned the Hard Rock stadium into an intimate, premium fan experience with a 13,800-seat center court . It does not require concrete or permanent anchors, can be installed in four weeks and uninstalled in ten days. Seating Solutions, the best-in-class sports and entertainment customized seating company providing innovative temporary and permanent structures to organizations, colleges, professional sports and other venues, has been retained by Moss Construction to create a best-in-class, custom free-standing modular structure elevating the overall fan experience at the Miami Open tennis tournament. This “Modular Spectator Super Structure” referred to as the MS3 turned the stadium into an intimate, premium fan experience which includes a 13,800-seat center court that includes general admission, VIP seats, press boxes, radio and luxury suites connected via the concourse. The patent pending MS3 structure that does not require concrete or permanent anchors comes with electrical and lighting and can be installed in four weeks, uninstalled in ten days, and stored easily for future use. Additionally, Seating Solutions erected all the temporary seating for the peripheral courts and a permanent 6,000 seat grandstand, solidifying the company as the leading provider of turnkey solutions. 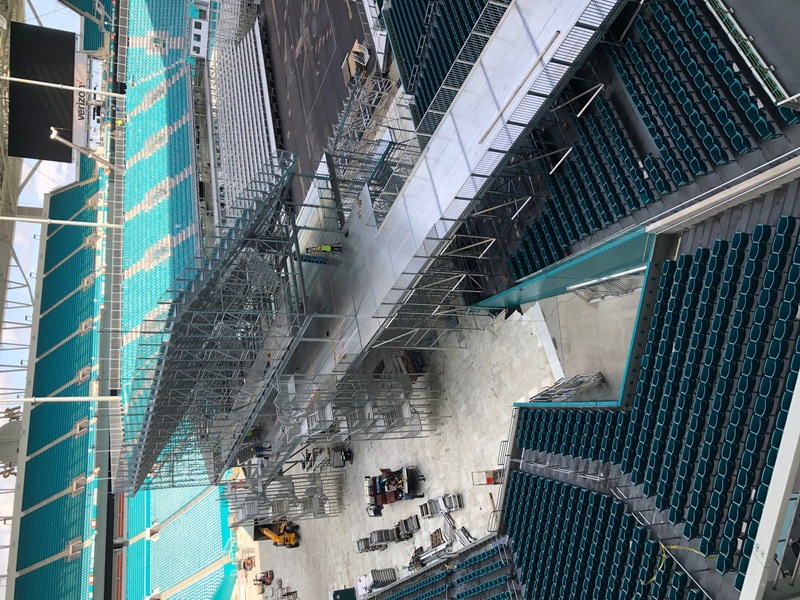 ROSSETTI, a Detroit firm, recommended Seating Solutions to fulfill the vision of Stephen M. Ross, owner of the Miami Dolphins and Hard Rock Stadium, and IMG World to build the premium superstructure for the Miami Open. 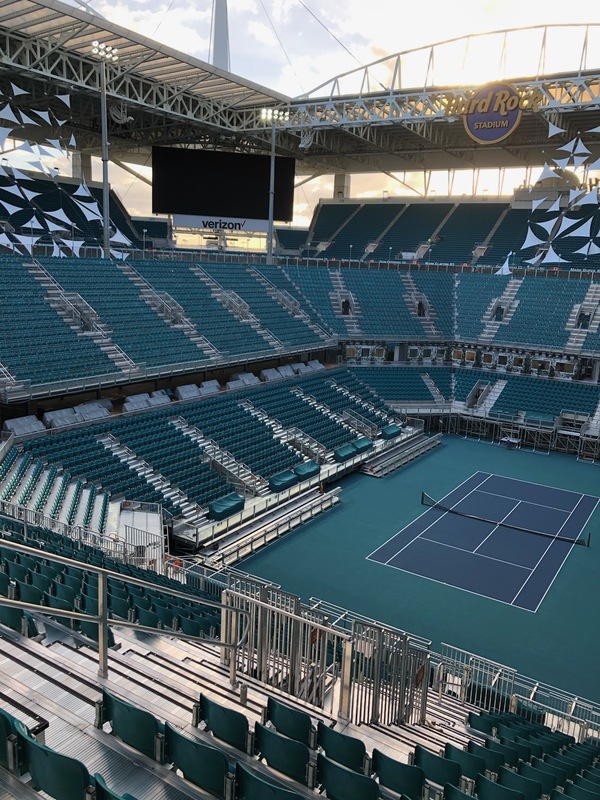 “When ROSSETTI was hired to develop the new Miami Open tennis campus within the Hard Rock stadium and site, we turned to Seating Solutions for the multiple varieties of seating configurations. We wanted to work with a wildly creative group for innovative ideas as this is a ‘never been done before’ type of project. Seating Solutions and their MS3 created opportunities to raise the fan experience and present more value than a permanent tennis facility. The Miami Open collaboration between ROSSETTI and Seating Solutions has been a resounding success and we look forward to replicating this formula for both temporary and permanent projects in the future with our eye on changing how our clients plan and invest in their events and venues,” said Matt Rossetti, Chief Architect of Serious Fun for ROSSETTI. 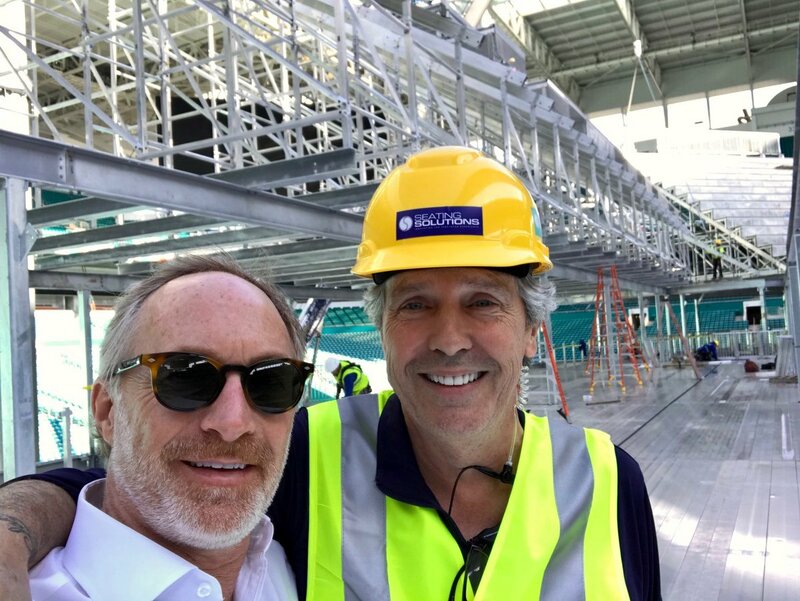 Hosting over 30% more spectators than in prior years at this new location, the Miami Open fans will attend a game-changing event starting on March 18, 2019. “Seating Solutions is on the cutting edge with this new modular, affordable seating structure in an unparalleled way. 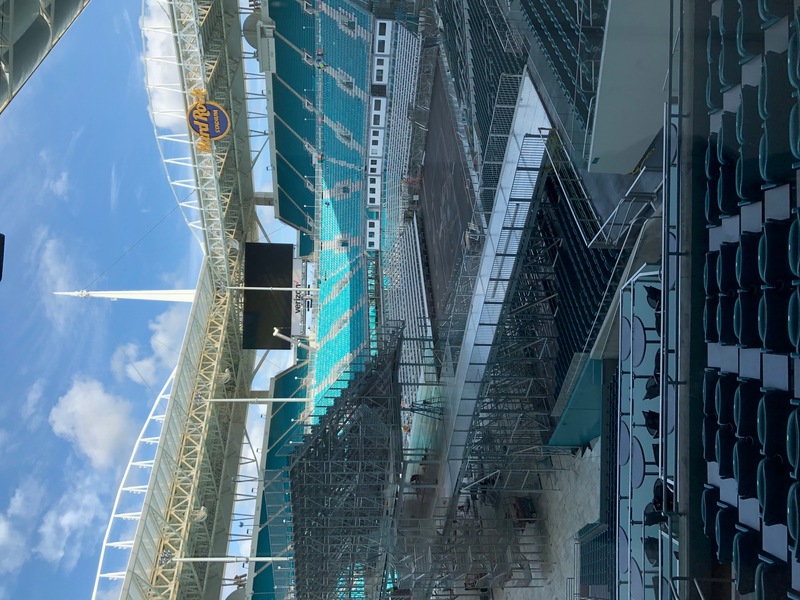 Scott’s innovative and professional style has made this into a remarkable venue, one that will rival any seating structure in the sports world, both professional and collegiate” said Stephen Ross. ABOUT ROSSETTI: ROSSETTI is a 50-year, multi-disciplinary practice focused on architectural design, urban planning, interiors and graphics. The firm believes in amplifying experiences and generating value for every project. ROSSETTI accomplishes this by evoking human sense and offering unique ways for people to connect while strategically addressing the vision and business goals of our clients. ABOUT SEATING SOLUTIONS: Seating Solutions specializes in the sales, rental and timely installation of custom designed spectator seating. Their custom seating systems are designed to fit the specific client needs and unique applications ranging from bleachers, grandstands, tip up seating, flat floor seating, and premium structures. Noteworthy clients include the Macy’s Day Parade, Philadelphia Eagles, Live Nation concert venues, Tryon Equestrian Center, US Open Tennis Championship, collegiate stadiums, and the New York City Marathon. 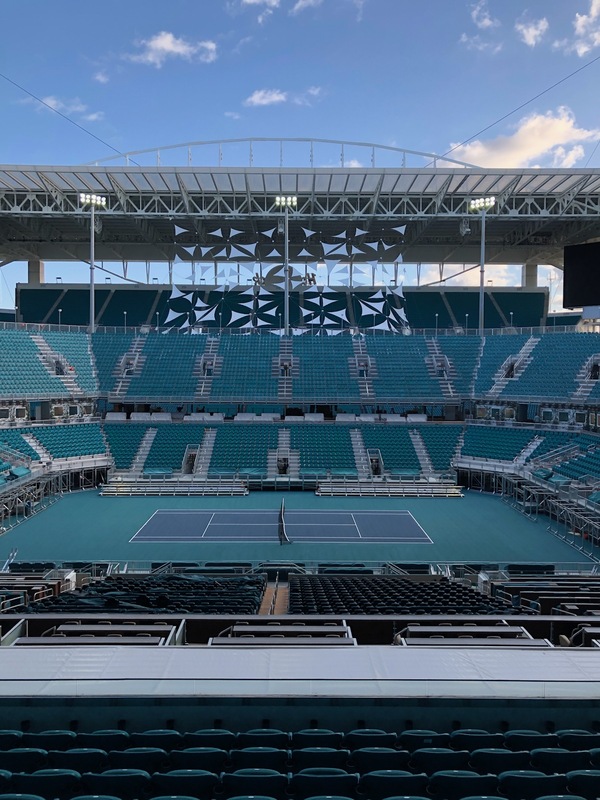 Seating Solution’s sister company, DreamSeat, specializes in interchangeable logo commercial grade furniture which can be found in the luxury suites on the Miami Open project. For more information, visit http://www.SeatingSolutions.com, follow @SeatingSolutn on Twitter or @seatingsolutions_ on Instagram.